Born 1965 in Anyang, China. Lives and works in Shanghai and New York. Launched his career as an artist with a performance at East Village, an artists' community in the outskirts of Beijing, in 1993. 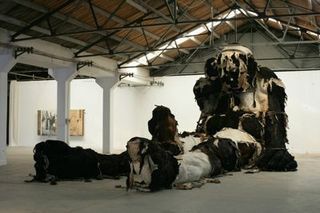 Recently focuses on overwhelming installations based on objects resembling giant stuffed toys.